Ready to plan your trip to Eugene, Cascades & Coast? Our visitor guide has all the details you need to plan your vacation here. Order a free copy by completing the form below. Please allow two to four weeks for delivery. We only ship to addresses in the United States. Or call our office toll free at 800.547.5445 (US & Canada) or 541.484.5307 and one of our adventure specialists will get you set up. WHAT'S IN THE VISITOR GUIDE? 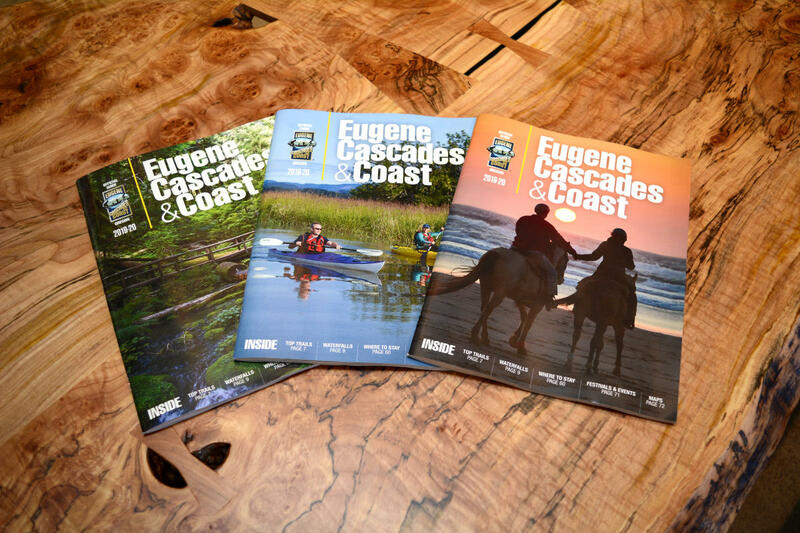 Want to stay in-the-know on news, updates and promotions regarding the Eugene, Cascades & Coast region? You must check the box in order to receive the e-newsletter and enter your email address below. You may unsubscribe at anytime.